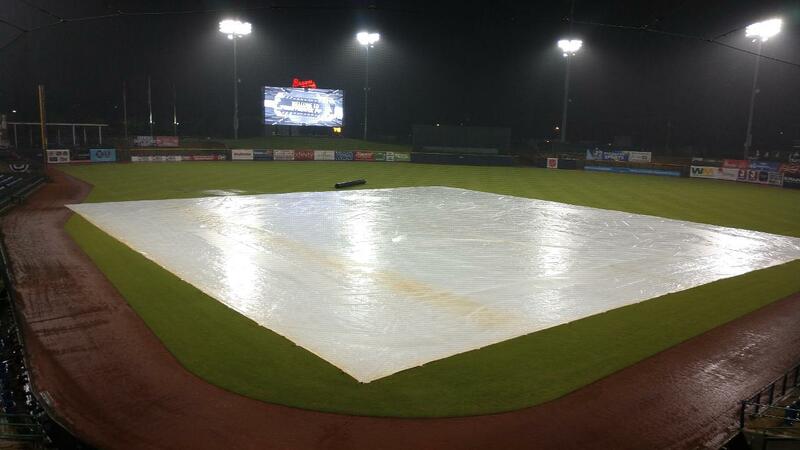 PEARL, MS - Friday night's game between the Mississippi Braves and Mobile BayBears has been postponed due to rain. The game will be made up as part one of a Sunday doubleheader at Trustmark Park, beginning at the regularly scheduled time of 1:05 pm, with gates opening at noon. Saturday's game will remain at 6:05 pm with gates opening at 5:00 pm. Sunday's games will be seven innings in length, with game two starting 30 minutes after the conclusion of game one. Fans with tickets to Friday night's game will be allowed to exchange their tickets for any of the M-Braves remaining regular-season home games at the Trustmark Park box office, excluding July 4. LHP Kyle Muller will make the start for the M-Braves on Saturday night against Mobile RHP Matt Ball. First pitch is set for 6:05 pm with coverage starting at 5:50 pm on 103.9 FM, the TuneIn Radio app. and MiLB.TV. • Post-Game Fireworks Extravaganza - A Post-Game Fireworks Extravaganza will light up the sky above Trustmark Park after each Saturday home game this season. • Disney Trip Giveaway For 4 - One lucky fan will win a vacation for 4 to Walt Disney World in Florida, courtesy of Mcgehee Cruise & Vacation. Package includes 3 Night Disney resort stay and 3 days admission to Walt Disney World for up to 4 in a room. The drawing will be during the game on and you must be present to win. Must be 21 to enter. • Magnetic Schedule Giveaway - The first 2,000 fans on Saturday will receive a 2019 Mississippi Braves magnetic schedule!